By comparing the product prices between 3 chemists/pharmacies, Myer is the cheapest. It is $58.00 (66 %) cheaper than next price leader (David Jones). The current price at $30.00 is the lowest among competing chemists/pharmarcies since 22 May 2018. 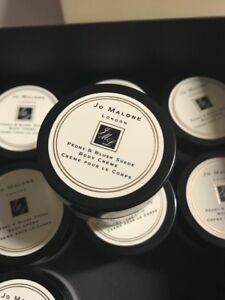 You may want to consider similar and cheaper product NEW Jo Malone London Peony&Blush Suede 0.5oz 15 ml Body Creme can be found at ebay Australia at $16.80.